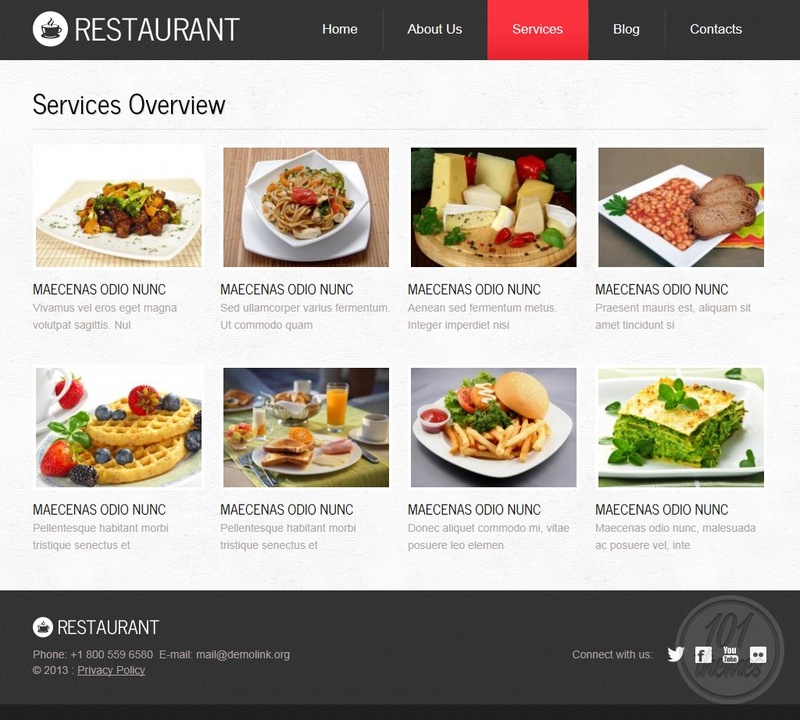 If you are looking for a great Drupal responsive restaurant theme, Template Monster presents a very interesting one created by Mira, simply called Restaurant. 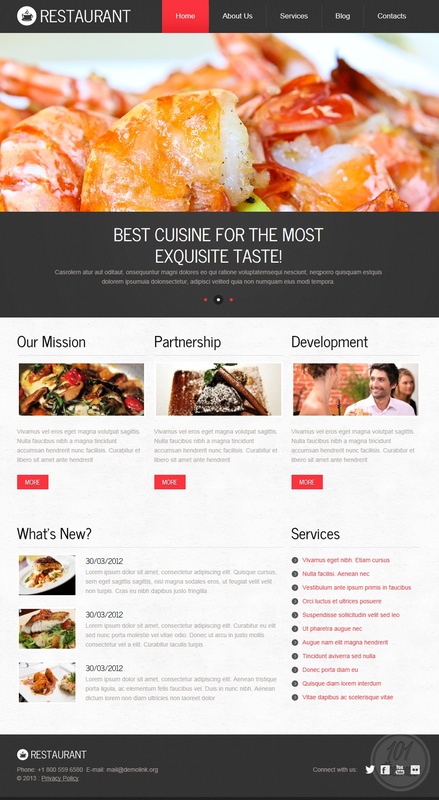 This theme was created specifically for cafes and restaurants. The color combination was carefully chosen to attract visitor’s attention. The background is consisted of light and dark colors that create a nice contrast and red buttons just add more fun to the whole experience. An attractive, wide slider is added to the very top of the homepage and its role is grabbing the attention of your visitors right away and focusing it on the most important thing-your products. You can feature various posts right under this slider and this is a great way to introduce your visitors to all the services you offer, or present your restaurant to them properly through posts about the history of your place, its development path, etc. Your newest posts will be featured on the homepage as well and this is where you should keep your visitors regularly updated on anything new that might be going on in your restaurant. 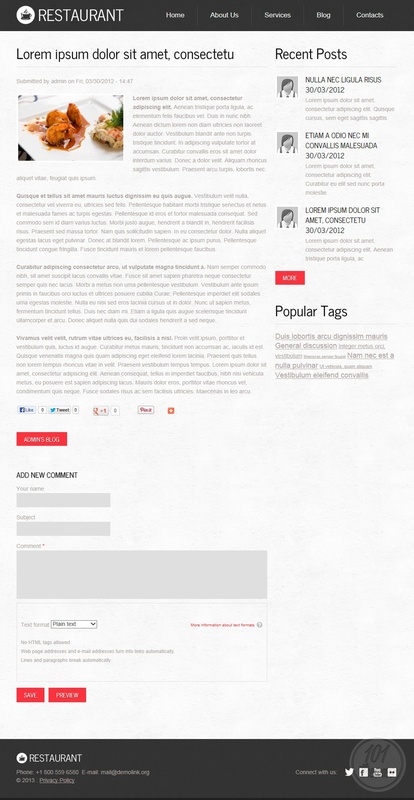 Social integration was nicely done and there are social buttons added to the homepage. This way you will get many sharing possibilities and you can connect with your visitors on these networks as well. You will find a nice menu in the services section, and it looks really good and well organized. 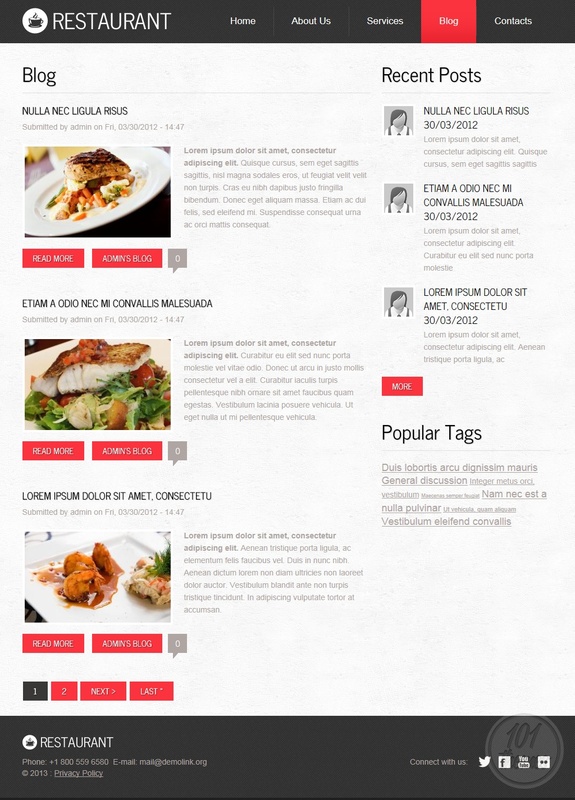 You will be able to create your own menu with your own menu items and prices very quickly. The contact page includes Google Maps integration so your visitors can easily find your restaurant’s location, and there is a working contact form featured for everyone to be able to message you quickly. 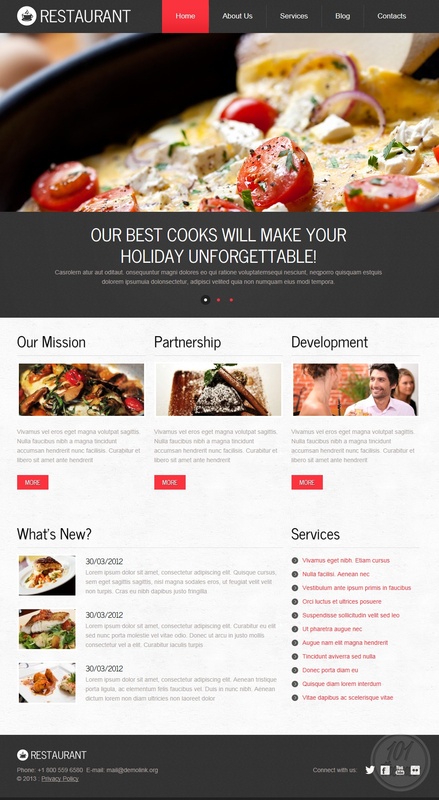 This is a responsive restaurant theme for Drupal and as such, it guarantees your website is going to look perfect regardless of the device used for viewing. Every element of the theme will automatically adapt to any given screen size or resolution and it is going to look awesome even on tablets and smartphones.